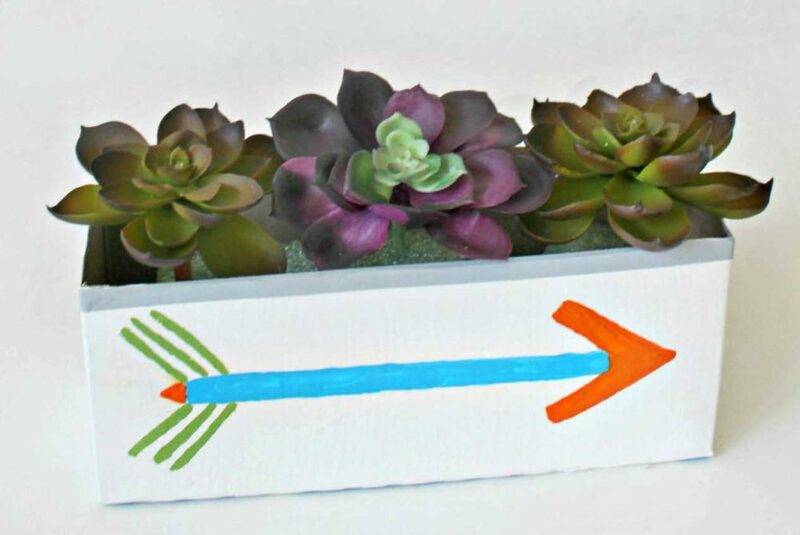 These DIY succulent planter holders are so creative, trendy and fun you won’t be able to stop at just one, you’ll want to whip up a whole bunch of these recycled planter ideas! 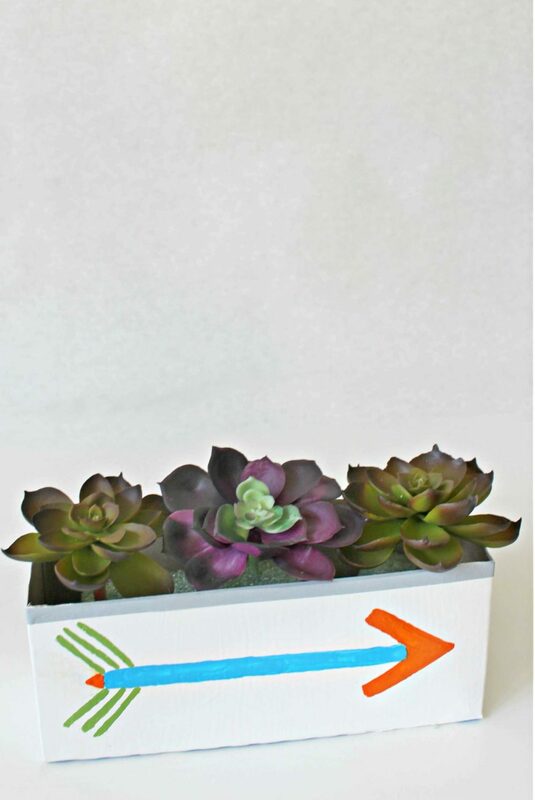 These easy peasy succulent containers are such a beautiful way to decorate on a budget! You know my love for recycling! I collect all kinds of items other people throw away and cereal boxes are at the top of my list. 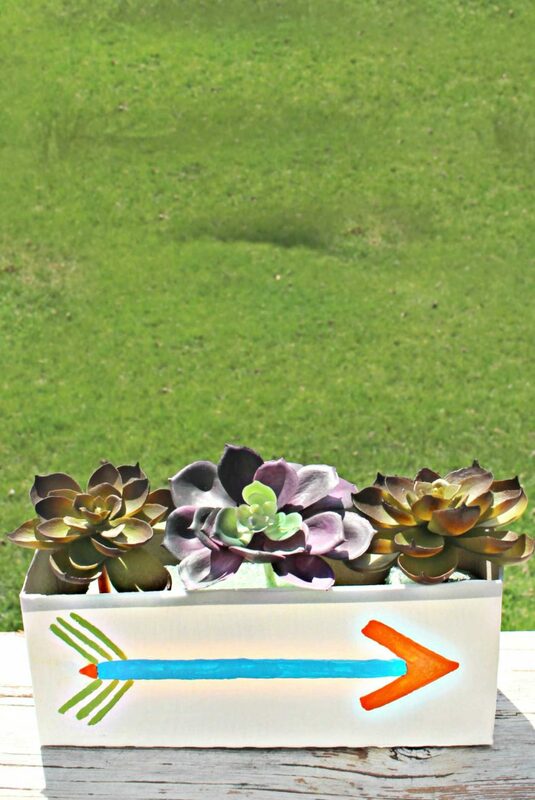 I save them for awesome projects like these super duper DIY succulent planter ideas! 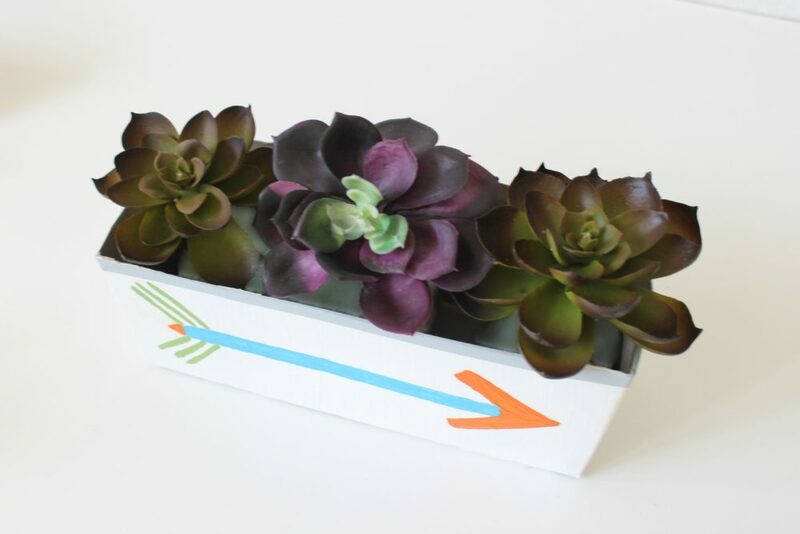 These recycled planter holders are designed with “fake” succulents in mind and are so easy and quick to whip up, you won’t be able to stop at just one, you’ll want your whole house filled with these beauties! A fun way to decorate your house without breaking the bank! 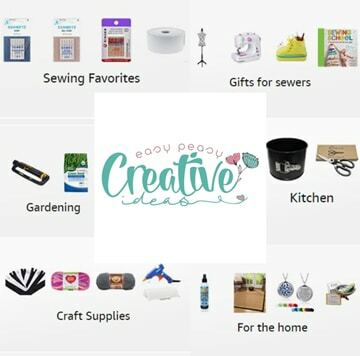 So cheap using items you probably have on hand already, like cereal boxes, paint, washi tape and scissors. Even though succulents are so easy to care for since they don’t need so much watering, taking care of plants can add up if you’re a super busy person. If you love flowers but lack the time to properly care for them, these DIY succulent planter ideas are just what you need! Go give it a try, you’ll love it! 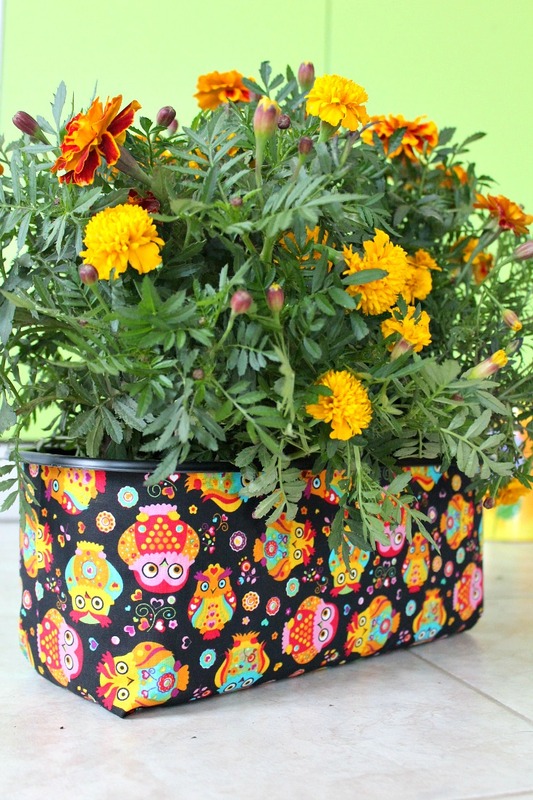 Empty cereal box or any box that is rectangle shaped to make a long, thin planter box. 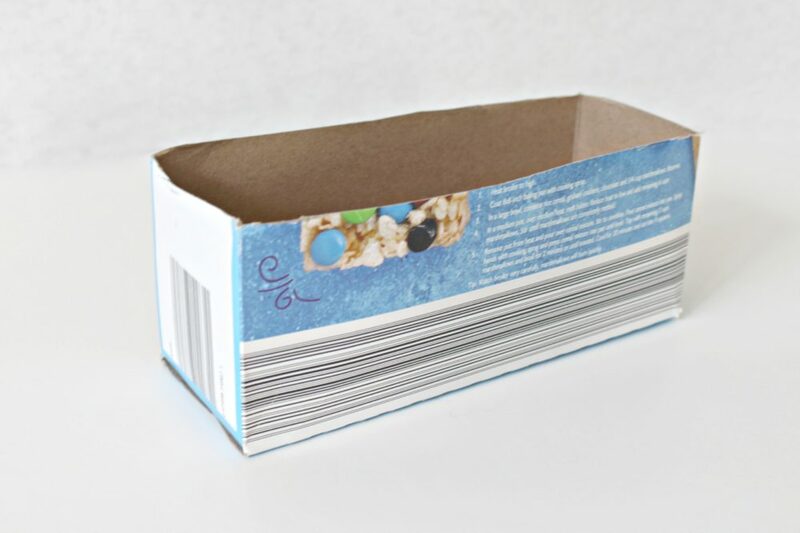 Cut the bottom of the cereal box so that it is 3 inches tall. 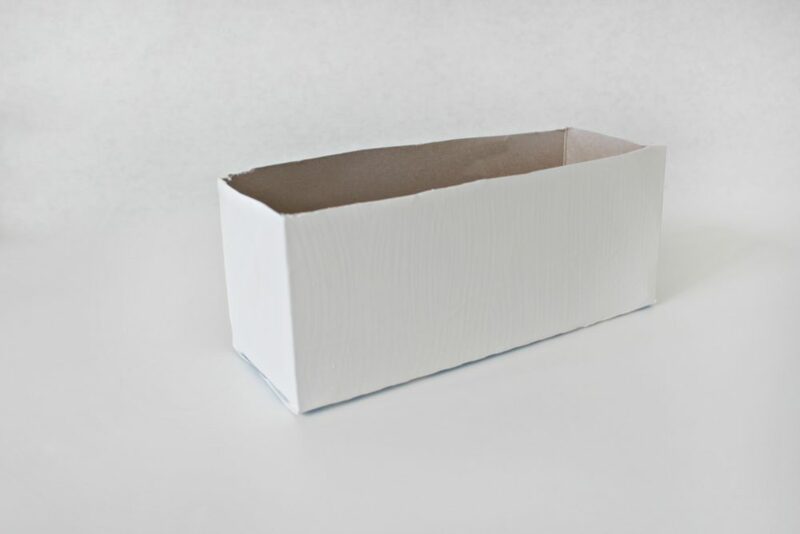 Paint the box white and let it dry. 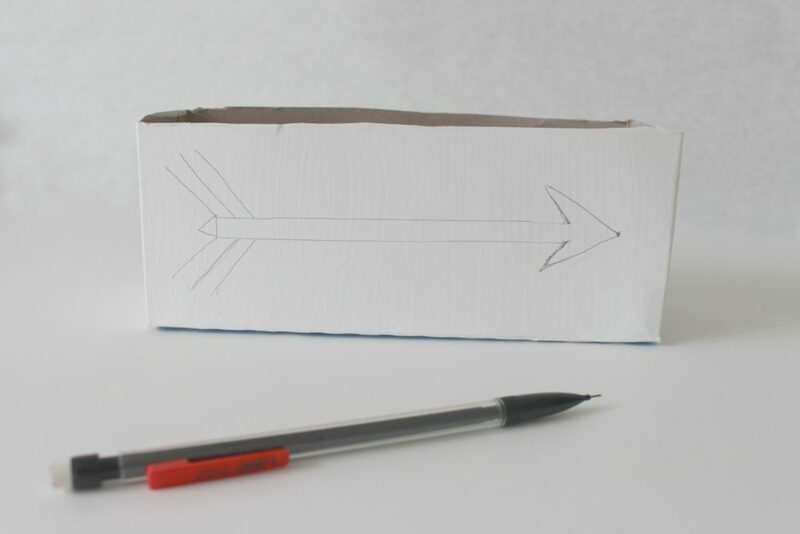 Sketch an arrow design on the box that looks similar to the one in the photo below. 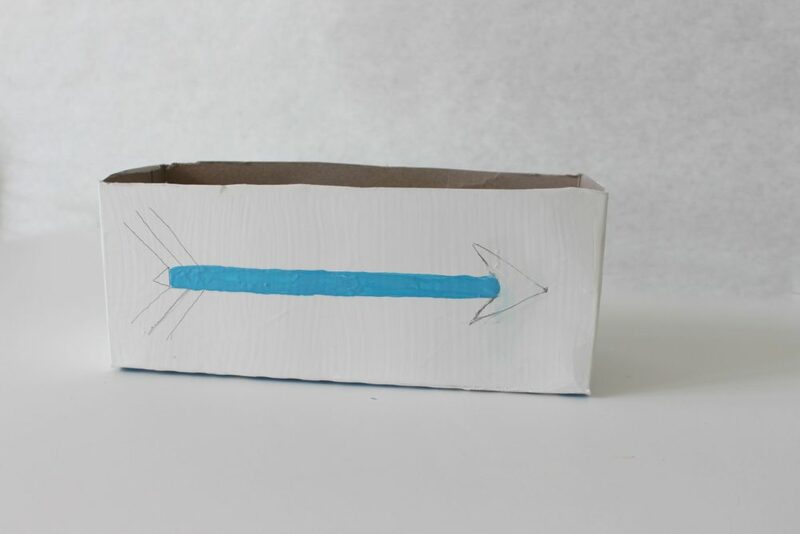 Use the turquoise paint to make a line in the center, front of the box that is approximately 5” long and ½” wide. It may need two coats. Let this dry. Paint an arrowhead in orange on one side of the blue line. 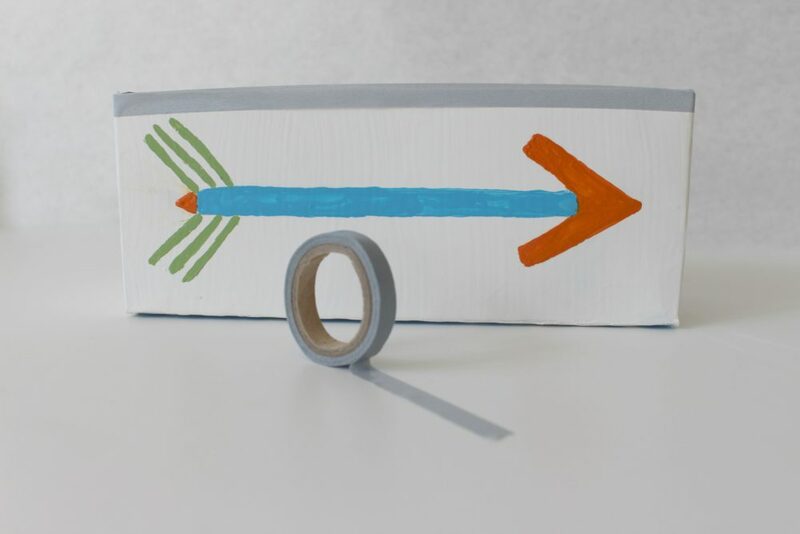 Paint a small orange triangle on the other end of the blue line that is the same width. On the same end of the triangle, paint 3 lines on either side to make the “feathers”. 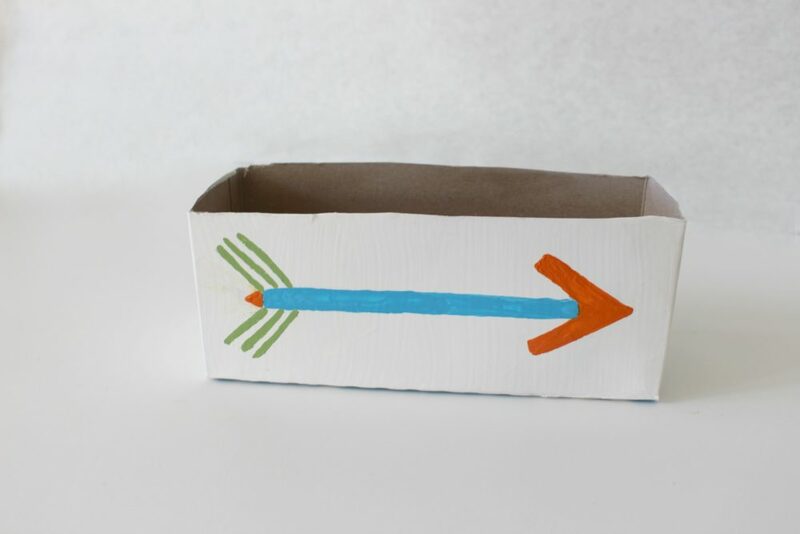 Use the washi tape to trim the top edges of the box. 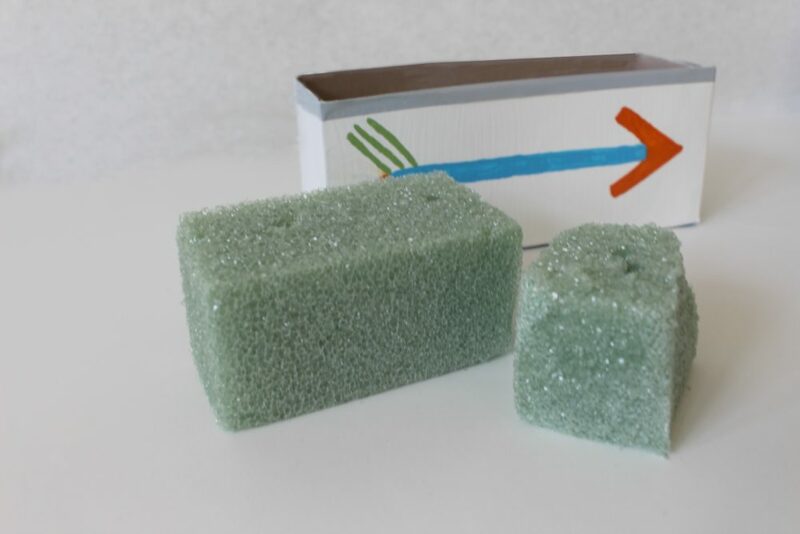 Cut the floral foam to fit inside the box. Push the succulents down into the floral foam and display the planter.